Made of durable, safe wood. 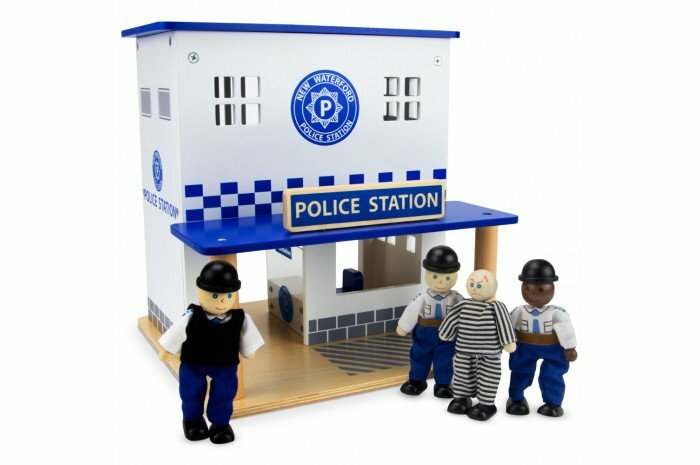 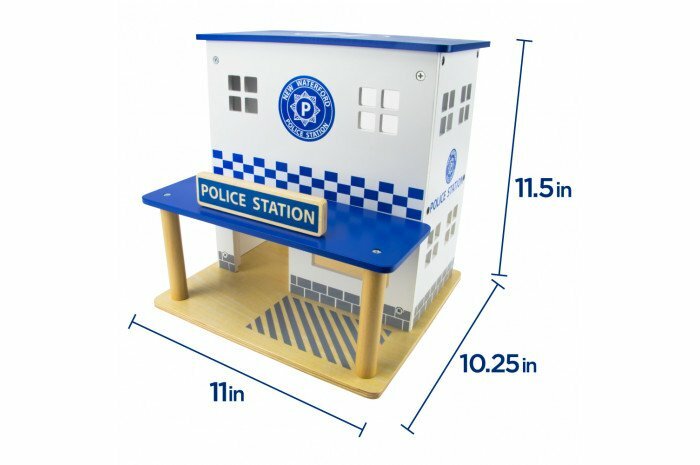 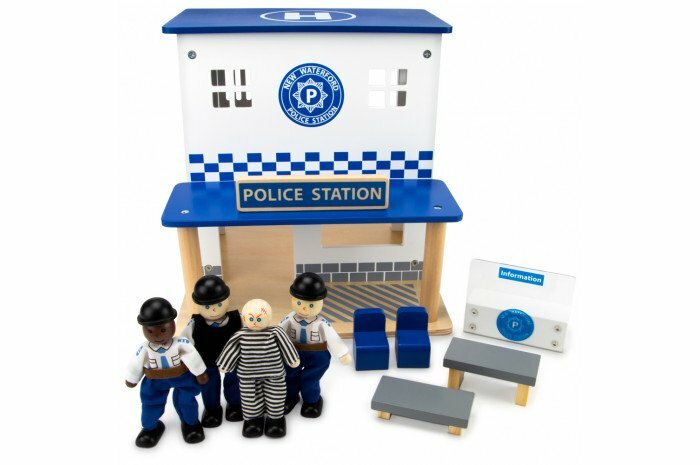 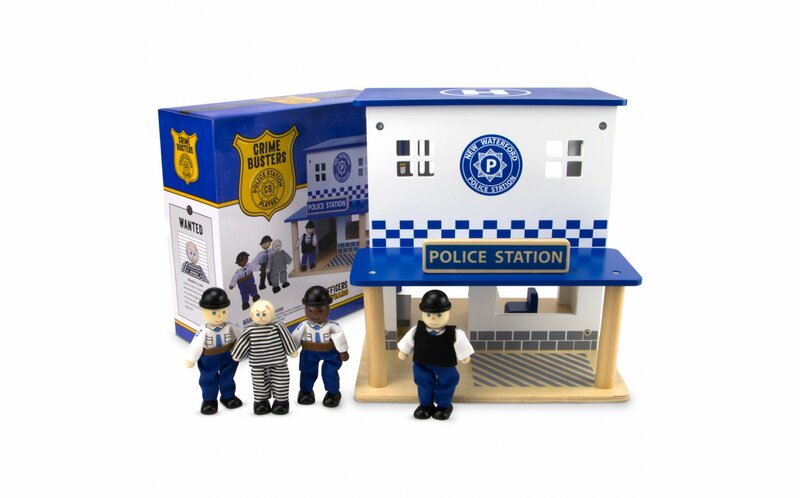 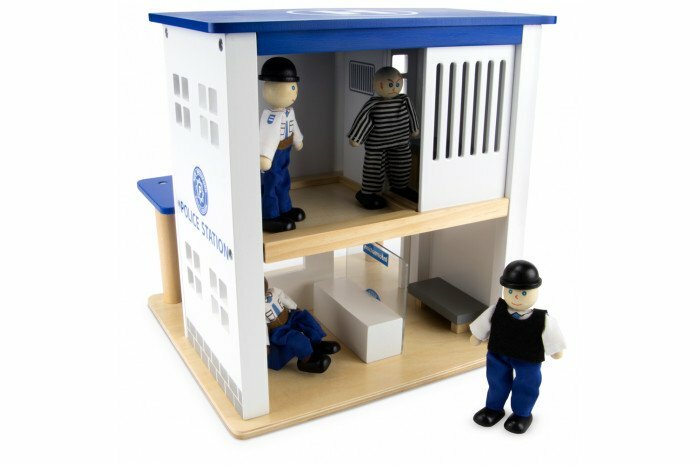 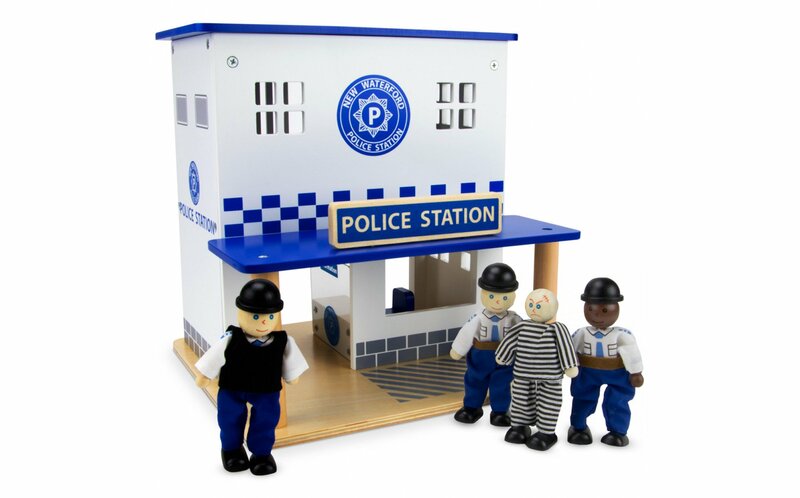 Station measures 11"x10.25"x11.5"
Portable police station with jail cell is a must-have for your play therapy room. 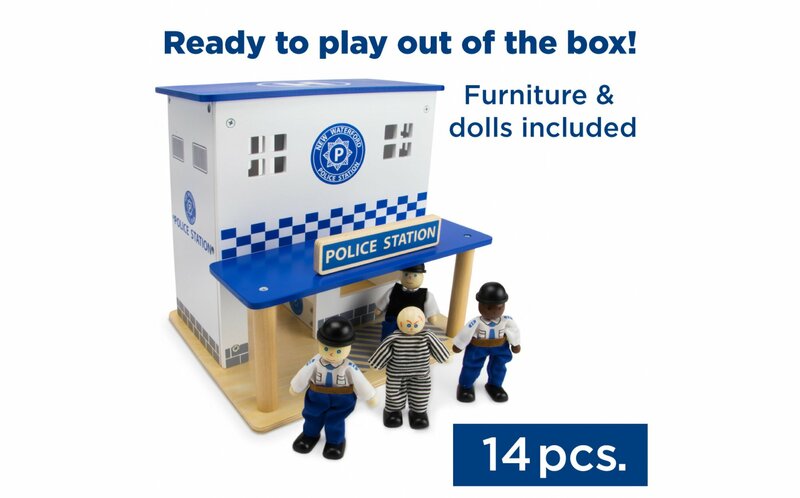 Set includes a portable police station, officers, jailer, suspect, chairs and more. 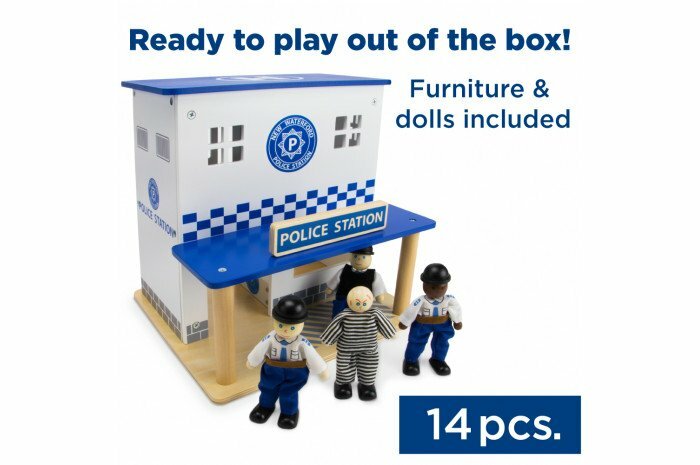 Children can set it up as they wish with the movable furniture.